The name BFG comes from the initials of the designers. Louis Boccardo, Dominique Favario and Thierry Grange. 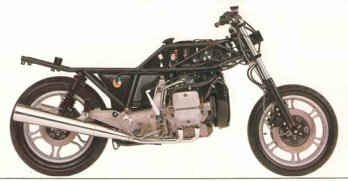 In the late development of the BFG, Louis BOCCARDO was made redundant as he was developing at the same time another motorbike, the MF (see specific pages about the MF). What is the BFG club about ? The club was created as early as 1983, nearly at the same time as the first BFG. Out of 200 members, a large majority lives in France but we even find a few of them living abroad. How the club works ? The club is relevant of the no-profit association French Bill of 1901, and is registered in Orléans, the prefecture of the Loiret department. Every quarter, a news letter is published and is called « La lettre de l’Odyssée ». It acts as a connecting mean between the different members and is written by the members themselves. 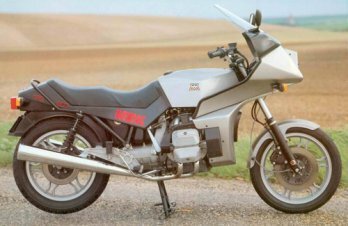 « Odyssée » used to be the name of the former BFGs manufactured, but had to be abandoned as it was a brand name for a mobile home ! ! ! – News on members, on motobike in general and on BFGs in particular. – Free for sale ads. Every year, our annual general meeting gathers all our members on Pentecôte weekend (Whit Sunday) in the center of France. The agenda is : forum, renewing the club Board and chairman, calendar of future events (5 to 6 events a year), new ideas, prospects, outings…. On that day members pay their (small) fee of 35€ – 2009-2010 fee – The BFG year goes from Pentecôte to Pentecôte. To reward the keenest members, the club organizes a yearly prize challenge for the highest mileage riding to club events. 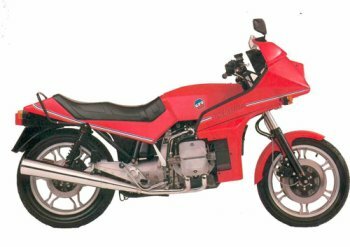 3 categories are classified for this challenge : BFGs, MFs, and other bikes. 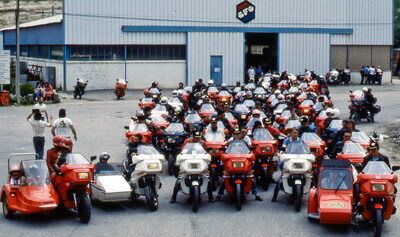 Each class has solo bike or side-car category. Since October 1995, the club has been dealing with all the spare parts. Genuine parts or re-manufactured parts to the BFG and MF specifications. The spare parts service is for members only. Order lists and tariffs are available in the « Odyssée » letter. More than having access to the spares organization, being a member makes you feel less lonesome, you can rely on other members experience and on the club « memory ». Join the club events to see different machines, to share ideas and passion with our friendly members. We hope this browse of the BFG motoclub has made you feel like joining us. 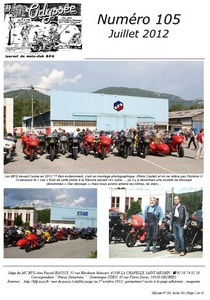 Download Bulletin accession to the Moto Club BFG. If so, see you soon. Take care and ride carefully.